At Last, an Affordable, Portable and Accurate Launch Monitor that you can put in your golf bag and use anywhere you hit balls! Information is key, that is true in life and everyone knows how important it is in golf. Carry distance, swing speed, ball speed are all vital to the game of golf and most golfers don't have any idea their own stats.... The Pros do. The problem is until now the only way to get those stats were to use machines that could cost $25,000 in indoor facilities. 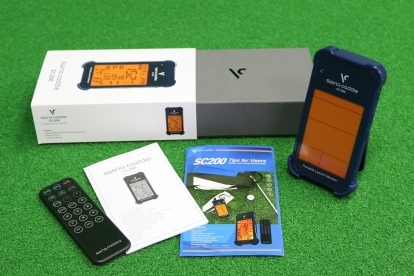 The Swing Caddie SC200 is small enough to fit in your golf bag, it works at the range, the course or in your backyard. All for an amazing price that makes it affordable to the regular golfer. The chance to get all the information that the pros get on a regular basis is finally available. 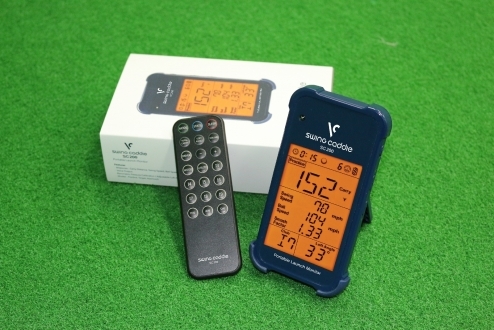 ONCE AGAIN - A AFFORDABLE, PORTABLE LAUNCH MONITOR YOU CAN TAKE WITH YOU! Exclusive offer for Golf Vacations Subscribers.... $60 OFF! Limited time offer so don't miss out!!! To get this information before the Swing Caddie you would have to find a club fitter with an indoor facility that cost lots of money and that is only for one trip. Now in the palm of your hands, you will have all that vital information and can use it whenever you go to the range, or even as you are playing on the course. Just turn it on and you are ready to go, no setting up, no wires. Turn it on, take some swings and instant information! Portable, about the same size as your mobile phone. Take a swing and get Carry Distance, Smash Factor, Swing Speed and Ball Speed. Get precise distances for all the clubs in your bag. Get a new club and head to the range and know exactly how far you hit it. It couldn't be easier to set up and use. That's it! Now you will be getting the stats and information you need to improve. The Doppler Radar Technology built into the SC200 gives you the most precise distances for all your clubs. Humidity and Altitude are factored into the results in the Swing Caddie to make sure your stats are as accurate as possible. The SC200 is designed around making your time at the practice range or wherever you are using it as easy and user-friendly as possible. The remote allows you to switch clubs without having to touch the SC200, keep the remote in your pocket and just choose your club as you switch throughout your session. The audible voice will tell you the carry distance out loud after each swing. Plus the screen is designed to be visible even in direct sunlight so you will have no problems while out on the range locking in your distances! The information you are given(carry distance, swing speed, smash factor) on the screen will help you play more consistent golf. It will maximize your practice time and you won't end up leaving the range wondering if you really accomplished anything. The perfect way to transport your Swing Caddie to and from the course or range. Only available with the purchase of the Swing Caddie 2 here and totally FREE. While on the range or wherever you are practicing you can use Target mode which lets you set a target distance and try to get as close to or hit that distance with each swing. Switch into Approach mode to let the SC200 select random distances for you to try and hit! These added modes let you compete with yourself and have a little more fun while practicing. Stats mode lets you keep track of your progress over time by tracking your average shot distances, swing speed, ball speed, smash factor, and averages for each club. The Reviews are in and they Prove that the Swing Caddie is a "Must Have"
We will give you 30 days to try the SC200, see if it helps you improve and if not we will give you a full, no questions asked refund. With the information you will get from this and the way it will help you practice we are certain you will be satisfied and will be loving the way you golf after using it! 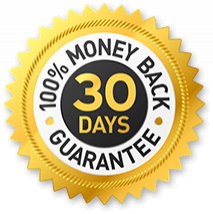 You are a few clicks away from having the information the pros use to get better and with a no risk guarantee what are you waiting for? Click below and let's get started helping you golf better! There is No Better Deal on a launch monitor on the market!